It’s just as common these days to call an Uber or Lyft as it is to vacation in somebody else’s home. More specifically, that means staying in an Airbnb. That’s where AirDNA comes in as the world’s leading provider of Airbnb data and analytics. 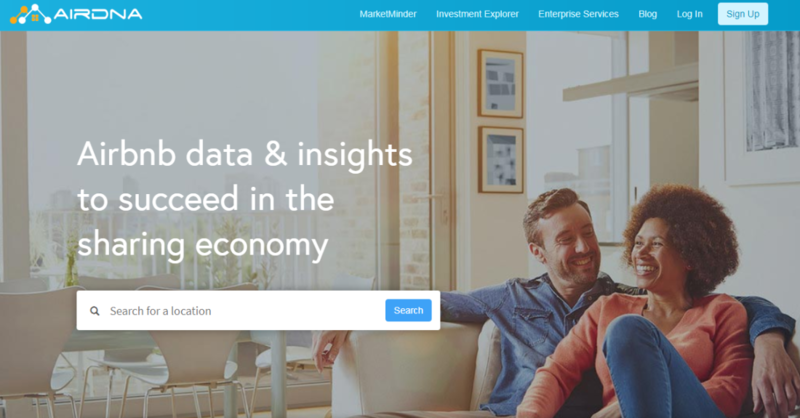 The company tracks 4.5 million listings in 60,000 global markets daily, implementing the data into reports that offer unmatched insights into seasonal demand and short-term rentals. AirDNA CEO, Scott Shatford, talked with RewardExpert about the unique offerings of his company and how travelers near and far can utilize the site data and technology at their own fingertips. Shatford, who is an Airbnb connoisseur, author and longtime advocate of short-term rentals and the sharing economy, first discovered the opening in the market through his own experience. In 2012 he lost his job and bought a plane ticket to the other side of the globe. That was when one of his neighbors suggested that he list his home on an up-and-coming service called Airbnb, which would save him some coin for his own trip. In a matter of weeks Shatford became privy to the extraordinary revenue that Airbnb offered and represented for hosts and small businesses. He also noticed a huge lack of knowledge in terms of properly managing an Airbnb. Using his 15 years of experience as a senior director of operations at a leading management consultancy firm, he decided to pursue filling the information gap. His website, titled Renting Your Place, garnered considerable interest and led to him writing a guide on becoming a savvy short-term rental entrepreneur called “The Airbnb Expert’s Playbook.” That led to his teaming up with AirDNA’s cofounders—Doug Jardine and Tom Caton—to launch the current company from Shatford’s garage in 2015. Since the launch, Shatford has hit the media and speaking circuit. He has been a keynote speaker at conferences like Buy Tourism Online, VRM Intel Live, Vacation Rentals World Summit and The Americas Lodging Investment Summit, as well as making appearances on ABC’s Nightline, Forbes, WIRED and The Guardian. His company thrives when Airbnb thrives, and they are both succeeding today. That can be an exhausting task for consumers/renters, however, as so many rentals are available in the Airbnb market, causing great competition and probably some headaches as well. As the future unfolds, AirDNA continues to empower the growth of private accommodations and widen the lodging options for travelers worldwide. That is attributed to the development of new, innovative tools to help users with operating, pricing and investing in short-term rentals.